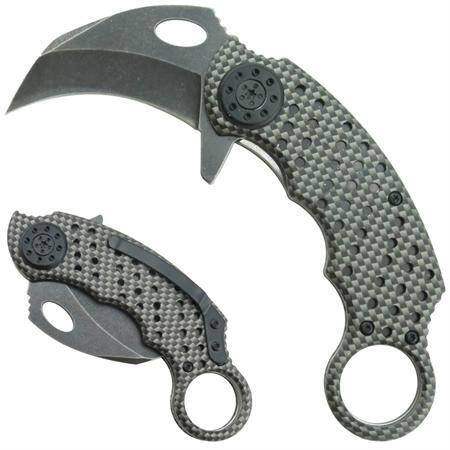 The Reaction Spring Assist Karambit is constructed with an aluminum handle with a finger hole at the end. The stainless steel blade has a stone finish. Overall Length is 5.5 inches.